Your heat is cranked up, but one of your radiators is still ice-cold. Don’t fret—this is a common problem. Good thing there's a quick fix! 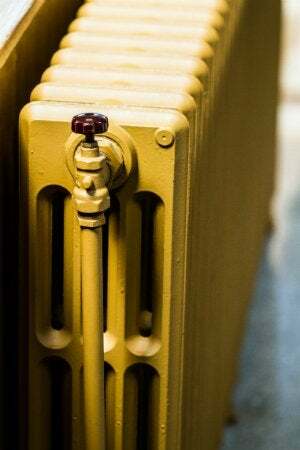 Now that the temperature is falling, you may have cranked up the heat in your house only to find that one (or more) of your hot-water radiators remains cold. 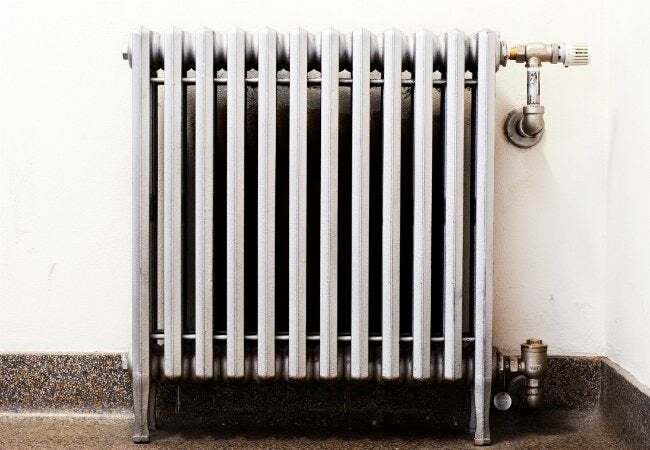 If a single radiator isn’t generating heat when the rest of your system seems to be working fine, your problem may be air trapped inside the radiator—a common issue with hot-water heating. Before you call the plumber, try your hand at solving the problem yourself by bleeding the radiator. It takes just a few simple steps, and the tools required are minimal. Give it a shot! You’ll have the place all warmed up in no time. Before you get started, it’s important to make sure your heat is turned off. If you leave it on during this process, there’s a chance that you’ll actually introduce more air into the system. Next, find the radiator’s bleed valve. This small valve is usually located at the top of one side of your radiator. Once you find it, you’ll need your radiator key. If you don’t have one on hand, you can pick one up at your local hardware store. You can also purchase sets of radiator keys online (view an example on Amazon). Strictly speaking, you don’t need a radiator key. In a pinch, you can try using needle-nose pliers to turn the valve. As well, some valves are slotted and can accommodate a flathead screwdriver. Slowly turn the radiator key (or pliers or screwdriver) counterclockwise about half a turn to release the air pressure. You’ll know it’s working if you start to hear a hissing sound as trapped air leaves your radiator—that’s just the sound of air escaping and hot water coming in. Don’t be surprised if a little bit of water starts dripping out. Just grab your dry cloth (or small bowl) and use it to catch the drops. When the bleed valve suddenly releases a steady stream of water instead of smaller, air-filled drops, you’ll know you’ve gotten rid of the excess air. Turn the bleed valve clockwise to tighten it, and you’re done! Go ahead and repeat this process on the other radiators in your home—even the ones that are working fine. It’s good to get into the habit of bleeding your radiators because it reduces the overall pressure on your heating system. After you bleed your radiators, keep tabs on the boiler to make sure it’s functioning properly and maintaining proper pressure. Follow the basic guideline of one pound of pressure for every two feet of rise, which, for a standard two-story house, translates to about 12 psi to 15 psi.